Dr. Patrick Brown knows that the perfect veggie hamburger needs to not only impress the vegetarians of the world but also win over the meat-lovers. While beanie burgers are tasty in their own way, the Stanford professor understands that they are a far cry from a Kobe steak. After testing out various models of meatless patties, Brown has finally revealed what he believes may be the key to the perfect synthetic burger: synthetic blood. Now, why didn’t we think of that? Evelyn Rusli, a reporter for The Wall Street Journal, was one of the first members of the public to try out this ultimate veggie burger, which was dubbed “version 4.0.” According to Rusli, the burger has “the consistency of animal tissue” and tastes slightly “less bloody” than a gourmet New York City burger. Samir Kaul, a general partner at Khlosla Ventures, a firm backing the Impossible burger, had a different take on the burger’s taste, describing it as “better than a turkey burger," as reported by The Wall Street Journal blog. Now while this synthetic blood is a far cry from the bottles of True Blood made popular on the HBO original series, it’s no less worth admiration. According to The Week, the blood looks and tastes like real animal blood but is actually made from plant matter. When combined with the plant-based faux meat, you get a burger which looks, smells, cooks, and course, even tastes like a real hamburger. As much as omnivores may try to deny it, vegetarians may be onto something with this whole meatless diet. Eating meat is bad, no matter how you want to look at it. 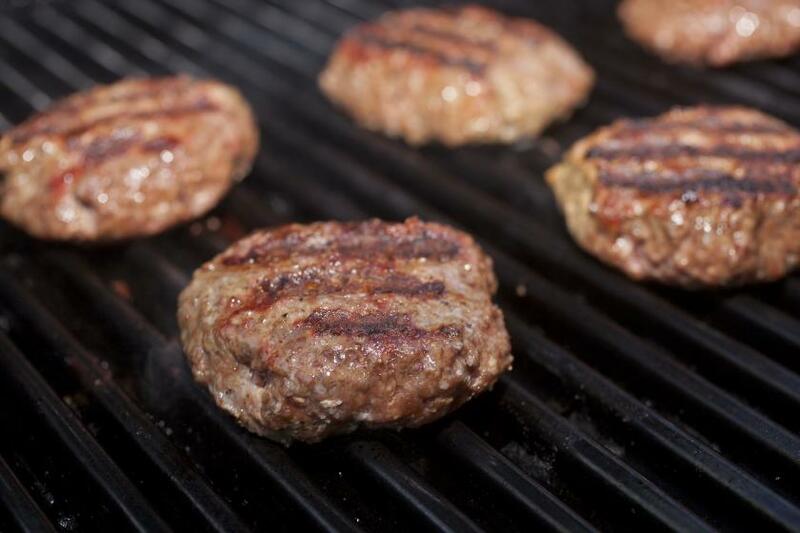 The consumption of red meat is closely tied to increased risks of developing cancer. Apart from killing us, eating meat is also destroying the planet. The Guardian reported that if meat production doubles, by the late 2040s, cows, pigs, sheep, and chickens will be responsible for about as much climate change impact as all the word’s cars, trucks, and aircrafts. Considering that the world’s population is expected to be around 9.5 billion by 2060, this prediction will most surely become a reality. Recently, we’ve learned that a little bit of carbon emission can go a long way. In 2012, Brown told the news outlet that his goal was to “reduce the human footprint on this planet by 50 percent,” and now, with his synthetic blood creation, this goal seems closer than ever to completion. Brown’s three-year-old start-up, Impossible Foods, is behind the veggie burger “4.0.” To date, the company has already raised around $75 million in venture capital, and it is backed by many companies, such as Khlosa Ventures and even Bill Gates. Currently, it costs around $20 to produce a single patty, but Brown and his colleagues hope that with further innovations they can get this price to be nearly on par, or even less than the cost of a beef burger.